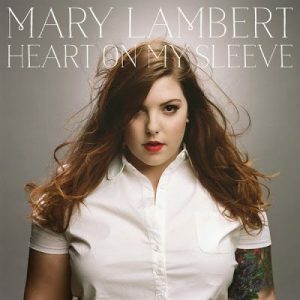 The pre-order for Mary Lambert’s upcoming debut album, Heart On My Sleeve, has launched at all participating digital retailers. Consumers who pre-order will receive two instant gratification downloads: the album’s first single “Secrets” and “When You Sleep” from the yet to be released Heart On My Sleeve, which will be released on October 14 by Capitol Records. Albums can be pre-ordered on iTunes, on Amazon Music (CD here and mp3 album here) and on Google Play. Fans can also order limited edition autographed albums here. Lambert is best known for her vocal performance of “Same Love” with Macklemore and Ryan Lewis that became a gay rights anthem. The official video for “Secrets” is now streaming here on VEVO. Directed by Declan Whitebloom (Taylor Swift, Demi Lovato, One Direction), the jubilant, performance-based video perfectly captures the positive nature of the song, which is about loving yourself unabashedly. To compliment “Secrets,” Mary launched a #MarySecrets Postcard micro-site where fans can submit theirs anonymously. In return, fans who participate will receive a secret from a stranger in the mail. Lambert recently wrapped up a national tour with Matt Nathanson and Gavin DeGraw.